Toronto gets its share of rain and snow, causing many to question the need for brick sealant on homes, walls and other masonry structures. There is some general confusion regarding waterproofing Toronto homes, for starters the differences between waterproof coating and water-repellent coating. Waterproof coatings and water-repellent coatings are two different things, despite the fact the two terms are often tossed around interchangeably. 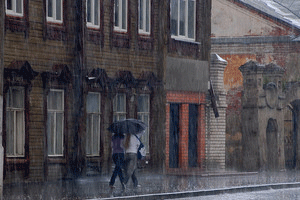 Water-repellent coatings do not prevent water vapor from coming and going through the wall. Instead, this type of coating just repeals some water penetration. 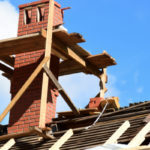 The ability for bricks to take in and let out water vapor is not necessarily a bad thing; in fact it’s how bricks naturally protect themselves from water damage. After water enters brick it eventually evaporates through the surface. A water-repellent coating still allows this natural process to take place. In most cases water-repellent coatings are clear in color, although some darken over time. Options range to include a matte finish to a glossy shine. Waterproof coatings do prevent water and water vapor from getting in and out of the wall. These coatings are generally pigmented and may include elastomeric paints or bituminous coatings. Since water vapor cannot escape waterproof coatings, they could cause more damage than anything else. Just because the entire brick wall is covered in sealant doesn’t mean water can’t find a way in, at which point the wall is defenseless in releasing the water as vapor. 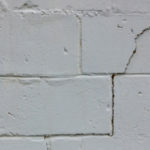 Since a waterproof sealant will prevent a wall from being able to release any water vapor, the water is trapped inside. As a result, when we experience Toronto’s freeze and thaw cycles the trapped water expands and melts back down, over and over. This puts the masonry structure under a great deal of pressure. 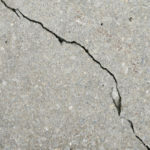 It only takes a few freeze and thaw cycles before damages begin to show in the form of cracks, crumbling mortar, or spalling. Don’t let anyone waterproof your home without first addressing the issues causing water to get inside. Otherwise, you will be faced with an even larger issue, as water continues to enter but has absolutely no way out. If a home or building has survived for 100 + years without any sort of waterproofing, it will likely do just fine without it in the future. 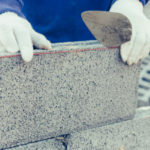 It’s more important to keep up with repairs and to make sure any restoration work pays keen attention to matching all original materials, techniques, mortar and so forth. Historic buildings are even more sensitive to sealants, which is why working with a professional mason skilled in historic restorations is so important. In many cases, once the damage has been done there’s no going back. You don’t want to take that risk with any property, let alone a historic one. In some cases, waterproofing a Toronto home is not in the best interest of your masonry structure. Masonry structures have been in use for a very long time, and much of this time they existed just fine without waterproofing. In fact, by removing the ability for bricks to release water vapor, you put them at greater risk for water damage. That being said, water-repellant coatings are a great way to keep some water out while still allowing the structure to release water vapor. The right water-repellant for your home will vary based upon location of the wall and any issues it may be facing regarding water. An experienced mason will know the right ways to protect your home against water damage. Install working drainage systems to help move water away from your home. Create overhangs to shield masonry and help push water away. Make sure there is an adequate slope that moves down and away from the foundation of your home to prevent water seeping under the foundation. Keep up with any masonry repairs, such as repointing, to help prevent water from having easy access. Check ceilings and windows for leaks and patch up as necessary. Roof leaks are a leading way water gains entrance to masonry. Need help deciding what sort of water protection your Toronto masonry requires? Give Turnbull Masonry a call today!